911 Metallurgy can provide you with the comminution testing services you require to meet your laboratory testing needs. Not sure what kind of testing your project needs? 911 Metallurgy specialists have years of knowledge and experience in ball mill, rod mill, and ultra-fine grinding. IsaMill Signature Plot Tests – Used to determine energy parameters for fine grinding, sizing, and design for IsaMill circuits. Levin Open Circuit Grindability Test – Used to determine energy parameters for fine grinding, using a Bond laboratory ball mill. Metso Vertimill® Jar Mill Test – Used to determine energy requirements for fine grinding, using a Vertimill®. SMD Signature Plot Tests – Used to determine energy parameters for fine grinding, sizing, and design for SMD mills. Grinding Media Tests – Used to determine data on wear performance of grinding media. Bond Work Index Tests – Used to calculate power requirements, and size rod and ball mills for a circuit. Crusher Work Index Tests – Used to calculate power requirements, and size crushing equipment. SMC Test – Used to determine energy requirements for a wide variety of comminution equipment. 911 Metallurgy will provide your with the comminution services you need to minimize risks, and make your project successful. 911 Metallurgy can provide state of the art computer modeling to design and or optimize your comminution circuit. Using metrics from comminution testing and or circuit surveys, our experts create models and run simulations that allow you to evaluate critical design and process parameters. Need a specific type of modeling service? 911 Metallurgy specialists have experience with most mainstream modeling software including but not limited to Bruno, JK SimMet, LIMN, and PlantDesigner. Let our experts help you make your project a success. 911 Metallurgy is ready to help you design your communition circuit. Our specialists will lead you through the process and can help you select the optimal circuit for your process. There are often many comminution circuit options, so we recommend comparative studies to evaluate different processing strategies. 911 Metallurgy can provide advanced modeling services that will provide you with important insights into the efficiency and capacity of your system. Our design specialists will provide you with the information you need including process flow diagrams, circuit mass balance data, and unbiased major equipment recommendations. After the circuit is designed, 911 Metallurgy can provide you with the information and resources you need to get your circuit running. Mineral liberation is a key parameter in metallurgical processing that has a direct affect on downstream metallurgical processing and performance. 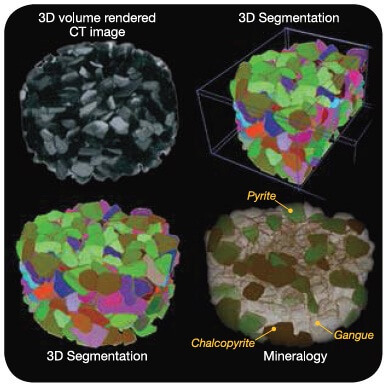 911 Metallurgy experts can provide state of the art mineral liberation analysis techniques such as mineral liberation analysis (MLA), quantitative evaluation of minerals by scanning electron microscopy (QEMSCAN), ADIS and ZEISS MinScan to optimize critical mineral processing parameters in your project, such as grind size. 911 Metallurgy can provide the services you need to optimize your process, minimize your projects risk, and make your project a success. Gravity tests, also known as gravity separation tests, are used to determine if a constituent, especially gold, can be concentrated by exploiting differences in density, shape, and or size between the constituent of interest and the waste material (gangue). 911 Metallurgy specialists have extensive experience in gravity processing and can provide you with the gravity concentration services you need. Gravity concentration is often an effective and economic unit operation, with low capital and operating costs. The process can also be environmentally favorable, as little to no reagents are used in the process. 911 Metallurgy can help you determine if your ore process could benefit from gravity concentration. What are the different types of gravity test equipment available? 911 Metallurgy specialists have extensive experience with all types of gravity concentration equipment and will help you optimize your process with the equipment best suited to your ore.
What is a gravity test? Gravity test procedures can vary depending on the type of equipment being used. Generally, a known amount of material is processed by the gravity concentration equipment, resulting in a concentrate and tailings product. The concentrate and tailings are then weighed, dried, and assayed to determine final constituent mass balances and recoveries. 911 Metallurgy specialists have experience with all types of equipment and will tailor your testing program based on your ore.
How can I optimize recoveries? Gravity separation recoveries are often significantly impacted by the feed size of the material. Additionally, 911 Metallurgy specialists can also provide extended gravity recoverable gold testing and gravity process circuit modeling. 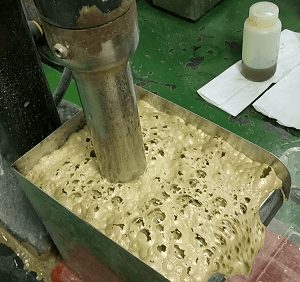 Flotation tests are used to evaluate a materials amenability to froth flotation processing. 911 Metallurgy can provide you with the flotation processing test work that you need, at both the laboratory and pilot plant scale. Flotation is a process that is used to concentrate a constituent or remove a constituent by exploiting and manipulating the hydrophobic and hydrophilic properties of material. Can my ore/material be floated? Flotation can be used on a variety of ores including oxide, mixed, and sulfide ores. 911 Metallurgy specialists can help you determine if flotation is an effective processing strategy for your project. Our specialists have experience developing flotation strategies for various ore types including but not limited to ores that contain rare earth oxides, precious metals, base metals, and iron ore.
What is a flotation test? A known amount of ore and water is added to create a slurry. Next, reagents are added to change the surface properties of the material. Then, chemicals called collectors are added to the slurry to form hydrophobic surfaces on the constituent of interest. Air or nitrogen is then bubbled through the agitated slurry. The air bubbles come into contact with the hydrophobic surfaces, transporting them to the surface, where they form a froth or foam. The foam is then separated from the pulp, creating a concentrate. The concentrate and tailings are then weighed, dried and assayed, to determine final constituent mass balances and recoveries. During the test, reagent additions are also tracked so that reagent consumption’s can be determined. How do I optimize my flotation process? 911 Metallurgy can provide you with all your hydrometallurgical service needs, from testing to production. We offer a comprehensive range of test services including bottle roll testing, column leach testing, pressure leach testing, bioleach testing, albion process testing, electrowinning testing, solvent extraction testing, and so much more. Our experts know how process all ore types, ranging from precious and base metal ores (Au, Ag, Cu, Ni, Co), to platinum group metal ores (PGMs), to uranium ores, to rare earth elements (REEs). 911 Metallurgy can provide testing both at the laboratory and pilot scale, offsite and or onsite. Using the data generated from testing, our experts can help you design your process, select equipment, and help you get into production. We will provide the experience and service you need to minimize risks and make your project a reality. 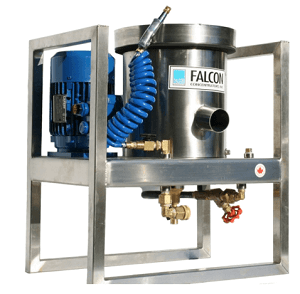 Column leach tests or column percolation leach tests, are primarily used to simulate heap leach conditions. 911 Metallurgy has comprehensive column leach testing and heap leach experience, and can provide you with guidance and service to meet your projects needs. Heap leaching is a common mineral processing technique, used to extract precious metals (Au and Ag), copper, uranium, and other constituents. First, ore is stacked onto an impermeable plastic liner. Then, a solution containing reagents, specific to the targeted constituent or constituents, is dispersed using a drip or sprinkler system. The solution percolates through the heap, extracting constituents by dissolving them. The enriched solution, called the pregnant leach solution or PLS, is then collected and processed to extract the constituent of interest. Already in production, but need help? No problem, 911 Metallurgy can help you solve problems with your heap. 911 Metallurgy can provide comprehensive on-site or off-site services. What are column leach tests? Column leach tests are used to evaluate if a constituent or constituents can be extracted from a solid, under simulated heap leach test conditions. First, the solids are sized according to the needs of the test work. Then if needed, column test feeds are agglomerated to improve the permeability and strength of the stacked feed. A leach solution is then applied to the top of the column, at a constant flow rate. As the solution percolates through the column it dissolves and concentrates constituents into a pregnant leach solution (PLS). The PLS is collected daily, to track reagent consumptions, interim constituent concentrations, and to determine final constituent mass balances and recoveries. Tests are often run until pregnant leach solution constituent concentrations approach detection limits, to determine maximum recoveries, with leach cycles ranging from months to years. Need help managing or designing your testing program? 911 Metallurgy has years of experience managing and designing heap leach testing programs. Our specialists will walk you through the entire process from preliminary testing (e.g. ore characterization and coarse bottle roll tests), to geotechnical testing (e.g load permeability testing), to optimization (e.g. crush size and reagent), to extraction (e.g. solvent extraction), to design. Bottle roll tests are widely employed in metallurgical and environmental testing. 911 Metallurgy has extensive bottle roll testing experience and can provide you with guidance and service to meet your laboratory testing needs. What are bottle roll tests? Bottle roll tests are used to evaluate if a constituent or constituents can be removed from a solid through dissolution. Basically, known amounts of solid and liquid are added to a bottle, to create a slurry. The slurry is then gently agitated and sampled at scheduled time intervals, to track reagent consumptions, interim constituent concentrations, and to determine final constituent mass balances and recoveries. In metallurgical testing, bottle roll tests are used to determine a materials amenability to leaching a specific metal or metals. Tests can be run at coarse feeds to evaluate heap leaching amenability, or fine feeds to evaluate conventional mill leaching processes. Reagents specific to the type of metal or metals targeted are added to the bottle roll test solution. Solutions can vary from acid, to neutral, to basic. Cyanide is typically used to extract precious metals, such as gold and silver. Whereas, solutions containing sulfuric acid are often employed to extract copper. Don’t know what conditions or reagents to use? No problem, 911 Metallurgy specialists can provide you with the knowledge you need, even for less common reagents and processes. In environmental applications, bottle roll tests are used to characterize what constituents might impact the environment when a solid material is exposed to a solution. Particularly, if the constituent will become harmful if it migrates into a source of water, such as a river, lake, or aquifer. Do I need environmental testing? 911 Metallurgy specialists have extensive experience with Environmental Regulatory Agencies and can help you define your projects environmental testing requirements. 911 Metallurgy can provide you with the analytical services that your project needs. Our analytical specialists have a wide range of experience from running drill core assay programs, to metallurgical test analyses, to environmental analyses. Our analytical services are ISO certified and implement a rigorous QA/QC program, to ensure that our analyses are precise, accurate, and reliable. Need fast turn around times? No problem, our experts can work with you to provide a turnaround schedule that will meet or exceed your schedule. 911 Metallurgy has extensive report writing experience. Our specialists can help you create high quality reports that you need to make your project a success. Need help with your 43-101 report? 911 Metallurgy professionals have experience writing documents for a variety of needs including but not limited to 43-101 technical reports, metallurgical testwork reports, operational reports, and engineering design reports. Our report writing specialists have the skills you need to meet your project schedule. 911 Metallurgy can help you design the metallurgical process that will make your project successful. Our experts take the time to understand your project and develop a solution that meets your schedule and processing requirements. 911 Metallurgy specialists uses state of the art modeling techniques to design and select equipment for your process. There are often many solutions to a process, so our specialists compare solutions, to evaluate important factors such as efficiency, capital, and operating costs. Once a process is selected we will provide you with the information and service you need to go from design to production. 911 Metallurgy can help you optimize and audit your process. Understanding your circuit is important, therefore we recommend a site visit to make sure we collect the data our experts need to get the best results. Onsite, our experts inventory the circuit equipment and operating conditions, and conduct a survey, to determine important metrics used in our advanced modelling program. Once the review is complete, the survey data is combined and used to generate models for simulation software. The models are then used to simulate the circuit/process and determine optimal process parameters. Not interested in a site visit? No problem 911 Metallurgy can also provide offsite optimization services, using data that you have collected. 911 Metallurgy specialists are ready to help you commission new circuits or upgrade old circuits. Our experts have extensive experience commissioning various processes including but not limited to comminution, hydrometallurgical, and pyrometallurgical circuits. Need equipment for your new process? 911 Metallurgy has a comprehensive inventory of equipment to fulfill your needs. Have an uncommon ore type? Don’t worry, 911 Metallurgy specialist’s have a strong background and experience needed to address complex ore types, with experience ranging from processing precious metal and base metal deposits to rare earth elements (REEs). Our experts will help you minimize risks to ensure your project is a success. 911 Metallurgy can help you conduct technical audits for your metallurgical program. Our specialists can review all aspects of proposed project including the design, test work, risks, finances, and more. Having trouble with existing projects? 911 Metallurgy experts can evaluate and troubleshoot existing processes, and will help your project be successful. 911 Metallurgy can provide training for your staff. Our training specialist’s knowledge and experience provide your employees with the opportunity to improve their skills and understanding of a process. Training typically includes a detailed review of the unit processes, and the parameters that affect it. After trainees have developed a better understanding of the process, our experts teach them the best practices to maximize performance, solve performance issues, run benchmarks, and optimize your process. 911 Metallurgy helps your employees learn the right skills, so that your project will be a success. 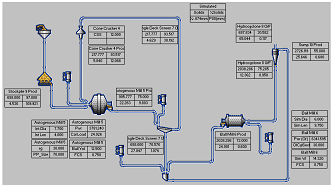 Pilot plant programs provide critical testing and design data for your project. 911 Metallurgy specialists can make sure that your pilot plan program is designed properly and provides the information that you need to make your project a success. 911 Metallurgy uses state of the art modeling techniques and simulation, to evaluate the process design ahead of construction. 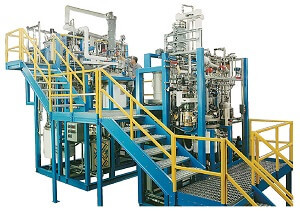 Once the process had been designed, our experts will lead you through process, helping you design, construct, schedule, sample, and run the pilot plant. Leverage our specialists knowledge and experience to minimize your risks, and make your pilot program a success. 911 Metallurgy can provide you with the services and equipment you need to make your pilot plant program a success. Need somewhere to run your pilot program? No problem, 911 Metallurgy can provide access to advanced pilot plant facilities, that are manned by professionally trained staff and have the infrastructure you need to meet your project’s schedule. 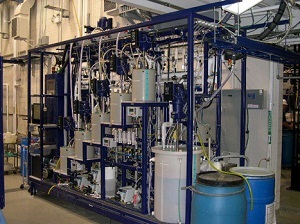 Don’t have experience running a pilot plant? Operating a pilot plant successfully is difficult, our experts have the knowledge and experience, that will help your project minimize risks. 911 Metallurgy can provide you with the construction services that your project requires. Whether your building a pilot plant or your processing facility, our experts can provide you with the knowledge and experience you need through the design and construction process. Need help selecting equipment? No problem, 911 Metallurgy has an extensive inventory of equipment and can help you select reliable and high quality equipment. Need help managing your construction process? Our onsite construction management specialists have extensive experience and can help you manage construction projects of any size. 911 Metallurgy will lead you through the construction process and help your project succeed.